Seniors Max Mello and Cassidy Pigott have committed to play in college next year. Before that though, they are looking forward to finishing strong on their senior campaigns. “I’m so hyped for the high school season! See us in Delta Dental Stadium! [location of the championship],” said Mello ‘19. With the spring baseball and softball seasons right around the corner, a pair of HB players have their futures set on continuing their academic and athletic careers at the collegiate level. 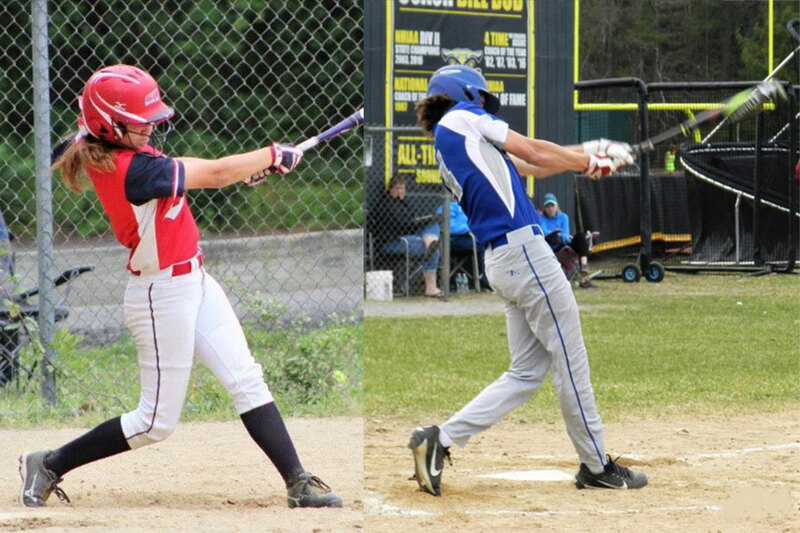 Cassidy Pigott, a senior softball star, has verbally committed to play at Becker College in Massachusetts, while senior Max Mello will take his talents to Skidmore College in New York. A common theme among college athletes is their passion for the game. After playing a sport for most of their lives, some players begin to lose interest in the game they once loved. Pigott, however, always knew she wanted to play at the next level. “Softball has always been a huge part of my life and it’s been the one thing that I’ve never grown out of loving.” Growing up with two older brothers who played baseball, she has been around the game since she was born. Pigott stressed how she never lost her passion for softball and wants to enjoy playing for as long as she can. The recruiting process is grueling, but Pigott was lucky to have strong connections through her club team which helped lighten the load. She started to get her name out to coaches as a freshman, which maximized her opportunities and showed coaches she was really committed to the sport. After weighing her options, a second visit to Becker sealed the deal, and she knew it provided the best opportunities for academic and athletic success. Even with multiple offers, Pigott advises any aspiring college athletes to keep their options open. Mello also always knew he wanted to play baseball, but didn’t know if he would be able to compete with the size and strength of players at the collegiate level. “I always wanted to play, but didn’t think I could until I hit a growth spurt my sophomore year.” Mello had the skill, but his size gave him the confidence to pursue collegiate baseball. Mello’s teammate for six years in both club and high school, Kyle Hsu ‘19, recognized Mello’s growth and commitment to the game. “I’ve played with Max for a long time, and he’s honestly gotten better every year. He’s gonna do great things at Skidmore.” Hsu also plans on playing in college, but he is still deciding where he will play. Mello plans to play second base for the Skidmore Thoroughbreds, while Pigott will be an outfielder for the Becker Hawks. Congratulations to both players for their commitments!